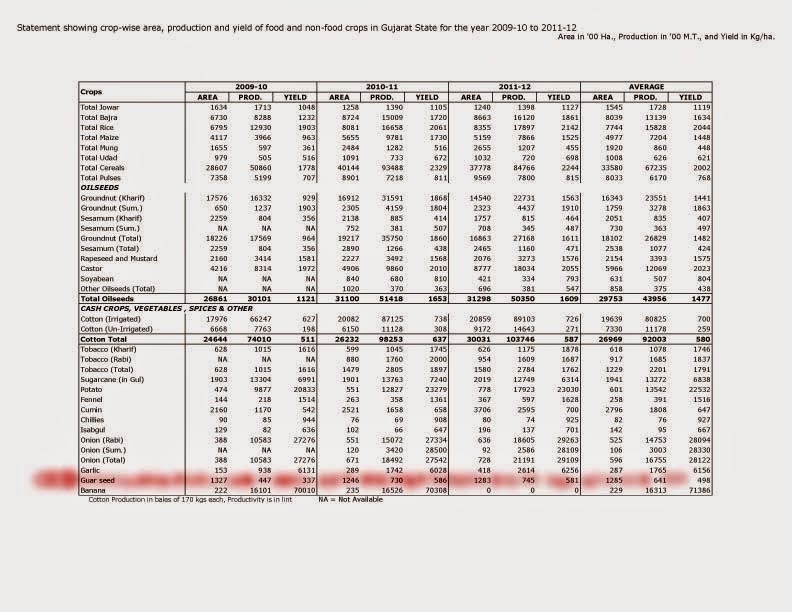 Will Guar seed and Guar Gum prices, keep falling in year ? What will be the bottom ?? I am predicting split will be at a level of Rs 110-115 level. No one is willing to stock to guar seed everyone is bypassing to next channel. Market is moving toward extreme correction like Gold and Crude oil. Guar has rose from a level of 2100 to 30,000 then stayed on 5000 not it will correct toward 2100. This is reality that there will be correction within this year and then again it will maintain new level. In future there will be no problem in supply side if there is no adverse climatic condition. Rain-fed farmer will have to grow it and he will keep growing. Right now there is no election, there is no too much inflation, and there is no too much rise of demand in energy market. Unfortunately, greedy traders have stoked the material in Houston so Oil and Gas companies are not in hurry to buy the commodity. Those companies know that ware house charges of Houston will settle down the price of Guar gum powder, stocked there. Indian manufacturer can stop it if they take some positive decision and some professional approach. 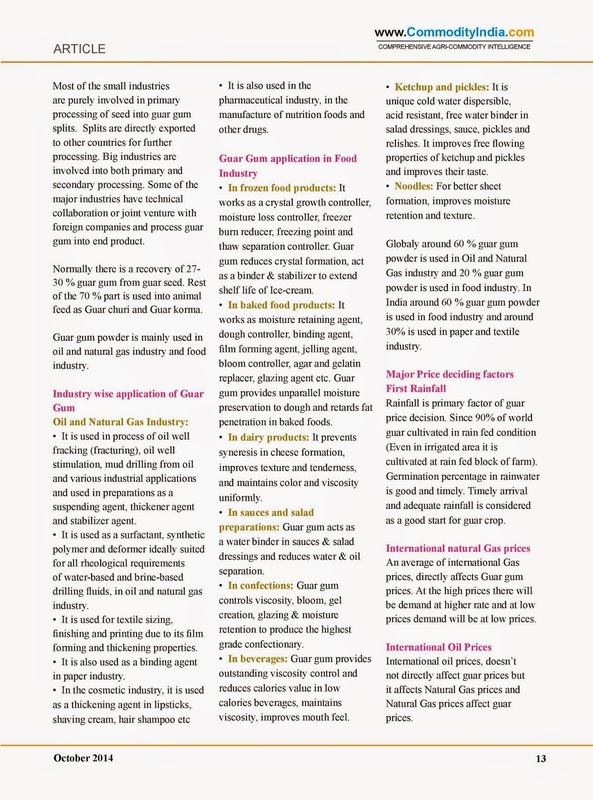 Guar Gum has become like a vegetable in vegetable market in Houston for Oil and Natural Gas Companies. The buyer will come and buy it at any time. 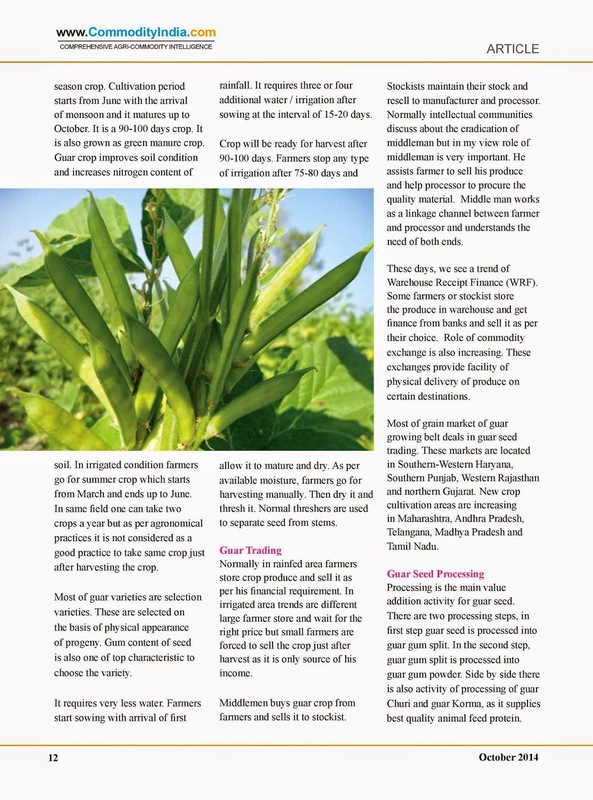 Guar arrival in local market is increased in comparison to last year. In the first 17 days of October it is just double than last year. We are expecting that new crop will saturate the market. 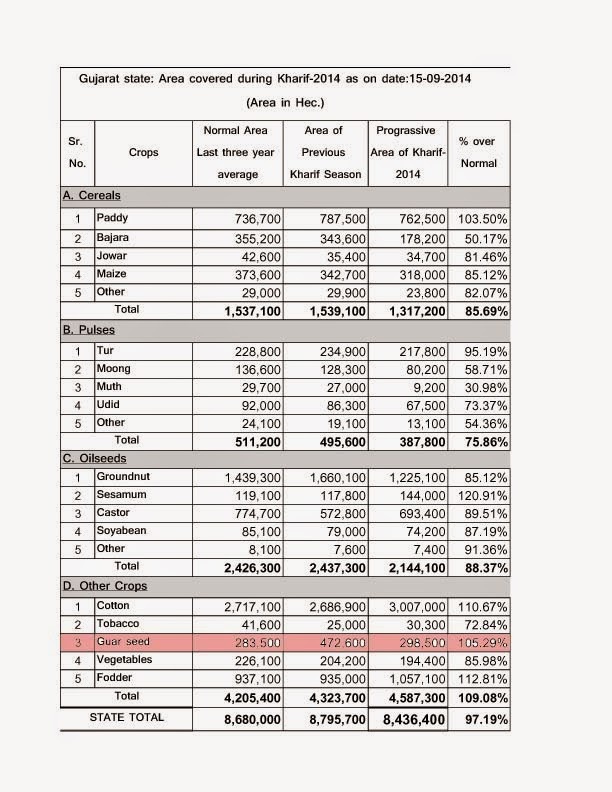 As production of other kharif crops are not so good due to the delayed rainfall. 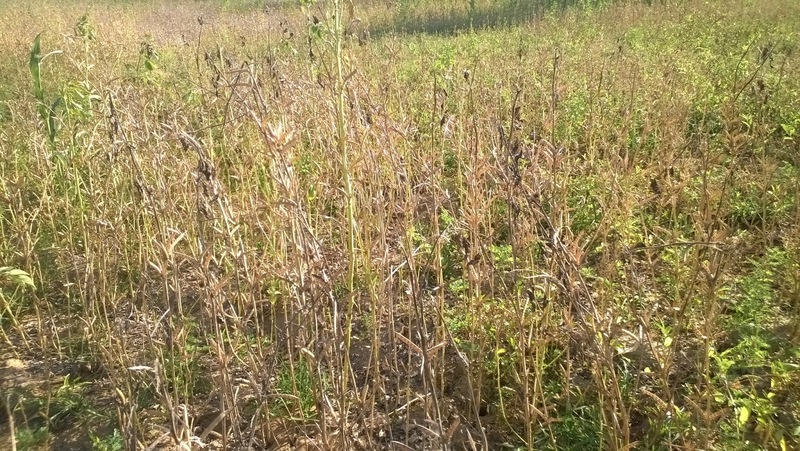 Guar is only cash crop with farmer. The next two three months are peak arrival period. Some farmers were holding it in starting in expectation of good rate. There are no chances of any spike rise in rate. Due to Diwali the market was closed, so farmer will start to carry the new harvest right now. Ariival will increase in coming days. 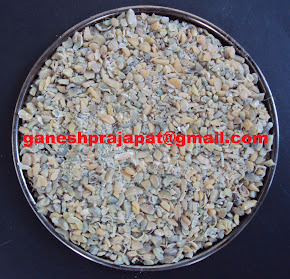 In Haryana arrival of guar seed has decreased in comparison to last year but it has increased from multiple time from Rajasthan and Gujarat. MCX ( Multi Commodity Exchange of India Limited) has got approval from FMC to remove guar from exchange. 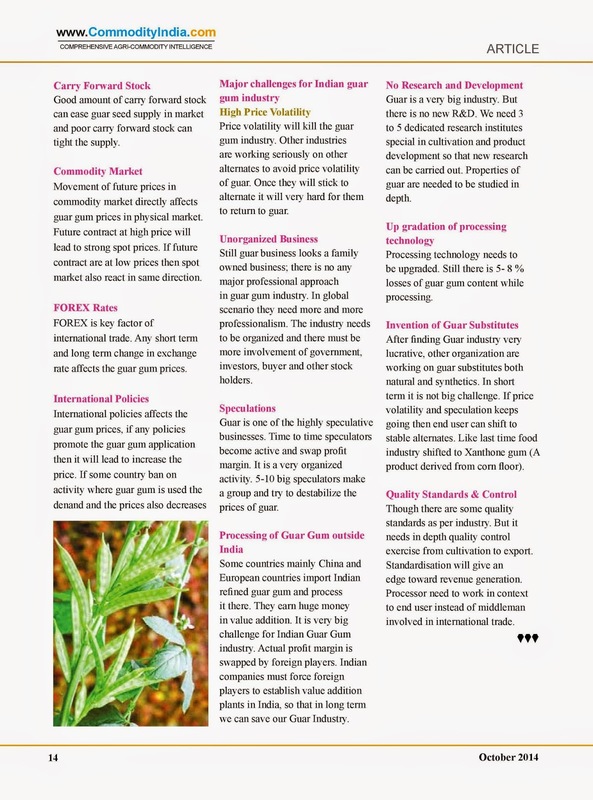 The trader were not actively taking part in trading of guar gum on MCX. There was no trading on MCX since a long time. Investor didn't took any interest in guar trading after De-listing in 2012 by FMC. MCX tried to attract investors but it was useless. Guar is traded on NCDEX and MCX . 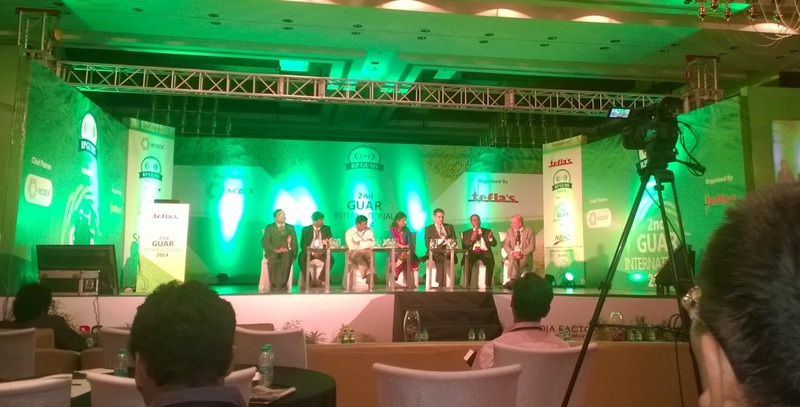 Now NCDEX will be only exchange where guar will be traded. MCX has stopped trading of guar from last Tuesday 21st October,2014 . 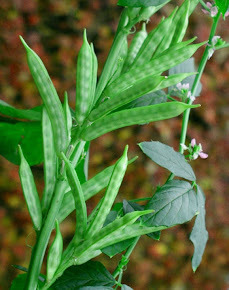 The Gavar/Guar/Guwar/Guvar bean or cluster bean (Cyamopsis tetragonoloba) is an annual legume. 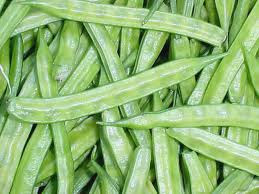 Guar beans have a large endosperm that contains galactomannan gum, a substance that forms a gel in water. This is commonly known as guar gum and is used in dairy products like ice cream and as a stabilizer in cheese and cold-meat processing. 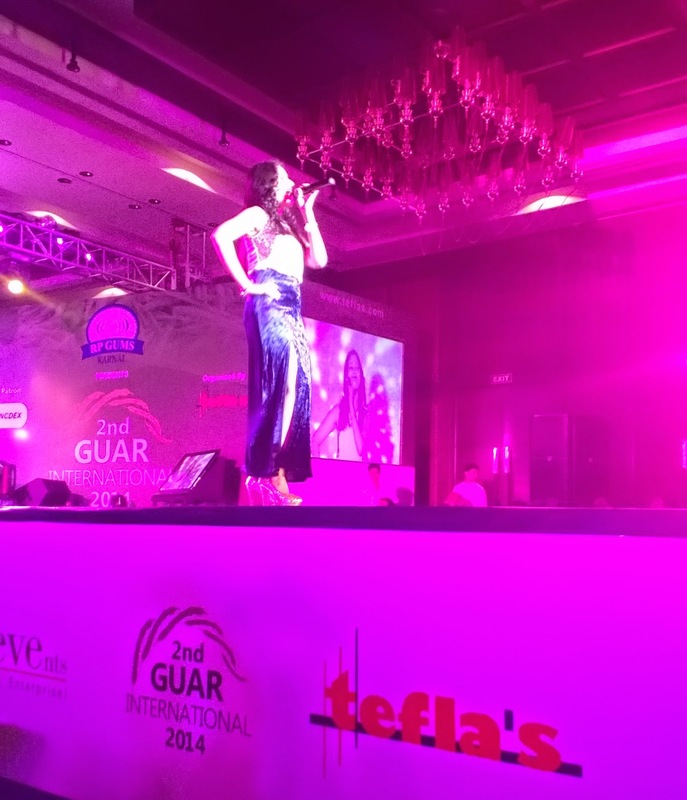 Derivatives of guar gum are also used in industrial applications, such as the paper and textile industry, ore flotation, the manufacture of explosives and hydraulic fracturing (fracking) of oil and gas formations. 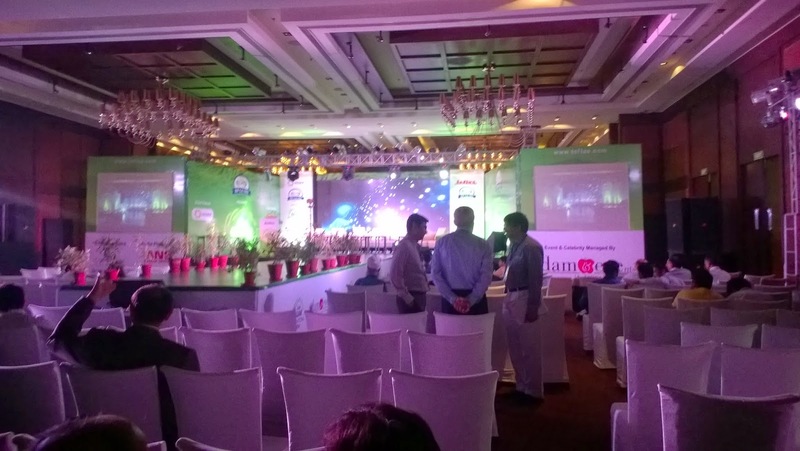 India is the largest producer of Guar Gum, meeting over 80% of the world’s demand. 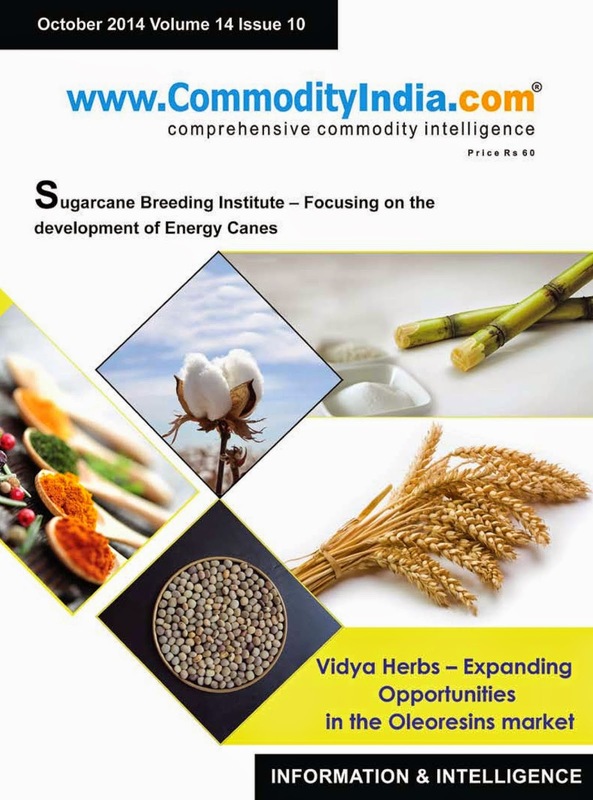 It's a supply chain riddled with a high degree of complexity and opaqueness and a market fraught with uncertainty which has left the Guar Gum industry in India fragmented, unorganized, and underdeveloped. 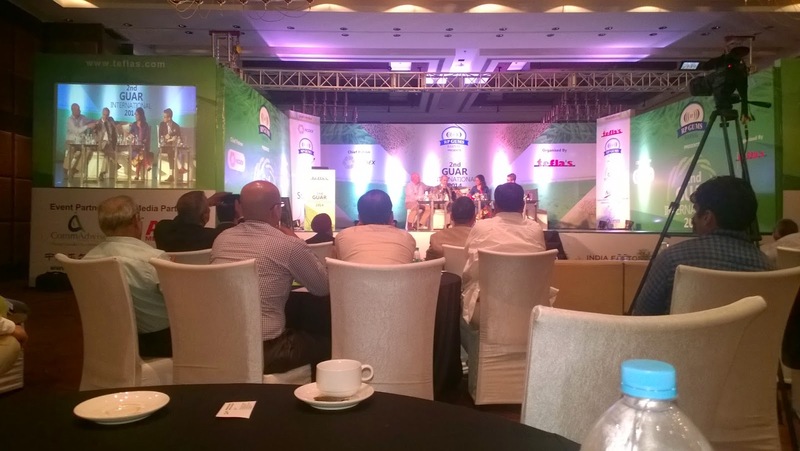 Yet India strives to meet much of the world’s demand for Guar Gum. 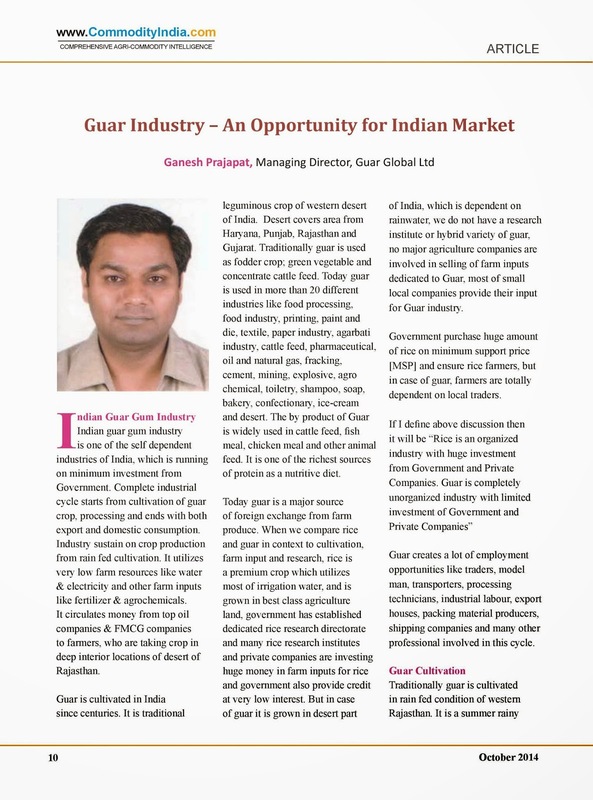 The industry complexities notwithstanding, the country’s ability to meet this ever-surging demand is closely linked to the rural farmers’ random and indivdual decision to choose Guar over other competing crops such as cotton for cultivation. These states account for 97% of the total Guar seed produced in India, with Rajasthan alone accounting for 80% of that production. Rajasthan is also home to most of the over 120 Guar Gum processors in the country. Much of the Guar Gum production is exported via seaports along western India. Currently, there is a less-than-adequate infrastructure at these ports, with frequent congestion and long wait times which have resulted in shipment delays.